We are in the middle of spring, flowers are blooming and the weather is getting warmer. Summer is right around the corner, but lets enjoy the cool nights while we can. The month of May is traditionally known as the month for mothers. It was named for the Greek goddess Maia, the goddess of fertility, the goddess of May. Maybe this is why Mothers Day has been established during this very month. But most importantly, May is National Hamburger Month sponsored by White Castle, the original fast-food hamburger chain (founded in 1921), to pay tribute to one of America’s favorite foods. Coincidentally, It’s National Barbecue Month. But you are reading this because you are interested in May Sports, and do we got a lot to choose from! 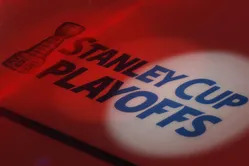 It can certainly be argued that nothing in sports is better than playoff hockey, and the first round of the NHL’s Stanley Cup playoffs has certainly been indicative of that thus far. There’s something magical about the Stanley Cup Playoffs that no other sport can duplicate. As we head into May and the second round of the playoffs, it’s sure to get better. Click here for the Stanley Cup Playoff bracket. This year’s NBA Playoffs schedule is the same as usual, back in ’14, the NBA Finals switched to a 2-2-1-1-1 format, discarding the old 2-3-2 format that had been in use since 1985. We got you covered with the full NBA Playoffs Schedule on TV, the bracket and links to great sites across the web to follow the action. As we head into May, we are starting to get a feel for who the teams are to beat in the Majors. Team’s rotations have had a handful of starts and we are seeing who the good arms are. Click here for the FANFOOD Top 10 MLB teams, the Major League Baseball Full Schedule for May, and a list of all the Nationally Broadcast Games this month. The 100th Running of the Indianapolis 500, is and it all goes down Sunday May 29 at 12:00pm. 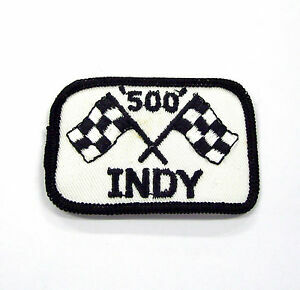 The Indianapolis 500 is the worlds most famous and prestigious auto race. It has taken place annually since 1911 at the Indianapolis Motor Speedway except for 1917-18 and 1942-45 during America’s participation in world wars. “The Greatest Spectacle in Racing” covers 500 miles, 200 laps on the famous 2.5-mile oval. “500” is the world’s largest single-day spectator sporting event. Whatever you preference, Open Wheel or Stock Car, we got you covered with links to all the races, schedules and more. If you like racing then you love May. The 2016 Kentucky Derby is always the first Saturday in May and this year that falls on the 7th. The run at Churchill Downs a one and a quarter mile track, and the race is known as “The Most Exciting Two Minutes In Sports” or “The Fastest Two Minutes in Sports” for its approximate duration, and is also called “The Run for the Roses” for the blanket of roses draped over the winner. It is the first leg of the US Triple Crown and is followed by the Preakness Stakes, then the Belmont Stakes. Unlike the Preakness and Belmont Stakes, which took hiatuses in 1891-1893 and 1911-1912 respectively, the Kentucky Derby has been run every consecutive year since 1875. Click here for a ton of links for first two jewels of the crowns full lineups post positions and more. 2016 marks the 115th edition of the French Open and the second Grand Slam event of the year. It will take place at the Stade Roland Garros from May 16th to June 4th. Click here for all the details from the Clay tournament. Of course that is not the only Professional Tennis Tournament in May, for the full schedule click here for links to all the ATP and WTA tennis tournaments this month. A major highlight of the PGA Tour, the Players Championship is the richest tournament of the year with the strongest and deepest field -— featuring 50 of the world’s top golfers competing for the $1 million-plus prize at Sawgrass in Ponte Vedra Beach, Florida. Golf fans know the course best for its infamous 137-yard 17th hole – better known as the “Island Green” – which historically raises the blood pressure of even the coolest players. Below is the complete TV coverage airing on NBC and The Golf Channel – beginning Thursday, May 10th including a dramatic Sunday final on May 15th. Click here for memorable moments, links and more from TPC. Like Tennis, this is not the only tournament for the professionals in May, click here for the complete schedule and links to all the events. Outside of sports, May is full of reasons to gather with friends, family and neighbors. In addition to all these great sports matchups, May is home to Mother’s Day, Cinco de Mayo, Star Wars Day, (May the 4th be with you) and of course, the unofficial start of summer, Memorial Day. Click for links to recipes, party ideas, menus and the FANFOOD Top 10 BBQ sites on the web. It’s been a great start to the MLB season, but it’s really too early to tell who the top team is judging on the schedule so far. The Nationals are off to a great start, best in franchise history, but look at who they have played?. The same can be be said about the Cubs but to a lesser extent. A big key to the early success has been the Cubs’ ability to draw walks and make the opposing pitchers work deep into the count. The Cubs have drawn an MLB-best in walks so far. The defending champion Royals are good, we all know that, but we need more of a sample size before declaring them the #1 team in the FANFOOD top 10. It’s the annual speedfest featuring top drivers in high gear participating in one of the most popular American car racing events. And, in 2016, Indy celebrates it’s 100th anniversary! This year the Indy 500 takes place on Sunday, May 29, 2016 as the green flag goes down at noon during a fun and festive Memorial Day 2016 weekend. In keeping with the summer party atmosphere, the race is traditionally preceded by the Indy 500 Festival, a month-long celebration in Indianapolis leading up to the race. Full TV coverage of the landmark 100th running of the Indy 500 airs on ABC Sports with a traditional 12 PM ET starting time — as top drivers line up to vie for one of racing’s highest honors… victory at the Indianapolis 500. Less-than-optimum traction on the red clay surface (that also gives the ball its extra bounce) can be a special challenge for top professionals at Roland Garros stadium in Paris – the traditional home of the French Open. check out all the excitement to begin with the official opening on Sunday, May 22, 2016 leading up to the men’s final on Sunday, June 5. In the U.S., the complete TV schedule for the 115th edition of the French Open is traditionally hosted by ESPN, NBC Sports, and the Tennis Channel. For the two most important matches of the tournament, tune into NBC in the US for the women’s final on Saturday, June 4 starting at 9AM ET. For the men’s final on Sunday, June 5, NBC has it covered again beginning at 9AM ET. The Kentucky Derby is a Grade I stakes race for three-year-old Thoroughbreds, held annually in Louisville, Kentucky, United States, on the first Saturday in May, capping the two-week-long Kentucky Derby Festival. The race is one and a quarter miles. Colts and geldings carry 126 pounds (57 kilograms) and fillies 121 pounds (55 kilograms). The race is known in the United States as “The Most Exciting Two Minutes In Sports” or “The Fastest Two Minutes in Sports” for its approximate duration, and is also called “The Run for the Roses” for the blanket of roses draped over the winner. It is the first leg of the US Triple Crown and is followed by the Preakness Stakes, then the Belmont Stakes. Unlike the Preakness and Belmont Stakes, which took hiatuses in 1891-1893 and 1911-1912 respectively, the Kentucky Derby has been run every consecutive year since 1875. A horse must win all three races to win the Triple Crown. The attendance at the Kentucky Derby ranks first in North America and usually surpasses the attendance of all other stakes races including the Preakness Stakes, Belmont Stakes and the Breeders’ Cup. It’s the annual springtime ritual focusing on the biggest event in American racing — as the Kentucky Derby make its way down the track on Saturday, May 7, 2016. The first jewel in the Triple Crown, the Run for the Roses offers the largest purse – $2,000,000 – bringing out all of the best 3 year-olds up to the challenge. Days before the race, horse racing fans check out the lineup to find out how they’ve run in the Stakes races of the season, along with graded earnings and how the handicappers put it all together to come up with the odds on the leading contenders. With the Kentucky Derby always scheduled on the first Saturday of May the 2016 Kentucky Derby post positions and morning line odds will be announced on Wednesday, May 4, 2016 with a traditional live report expected at 5PM airing on the NBC Sports Network. Early odds on Kentucky Derby favorites are usually set on 3-year-olds who have performed well in the recent past. That said, there is currently a neck-and-neck battle between two likely favorites this year — Nyquist (winner of the 2015 Breeders’ Cup Juvenile) and Gun Runner (winner of the 2016 Louisiana Derby). Coming up from behind are hopefuls Exaggerator, Brody’s Cause, Mohaymen (who made an impressive showing at the Holy Bull Stakes in January) and Outwork, winner of this year’s Wood Memorial Stakes. Rounding out the top leaders heading for the 2016 Kentucky Derby lineup are Lani, Flexibility, and Mor Spirit, followed by Danzing Candy, Destin, Cupid, and Oscar Nominated. The Lineup will be established on May 4th, 2016, The Kentucky Derby post position draw will be held at Churchill Downs at 5:30pm ET. 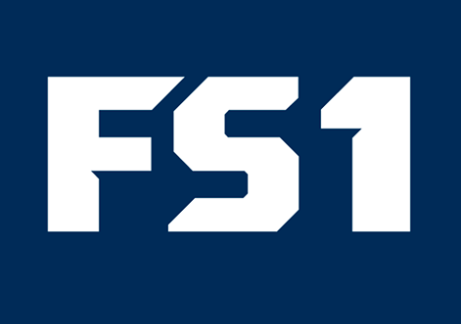 It will be televised on NBCSN (NBC Sports Network). It was near perfect weather and a steady track (with attendance figures breaking the record of 165,307 set in 2012) as the 141st edition of the Kentucky Derby kicked off the annual Triple Crown contest at Churchill Downs. This year’s favorite, American Pharoah — along with Dortmund, Firing Line, and Carpe Diem — were out in front heading into the backstretch when American Pharoah swept past Firing Line and Dortmund in the final stretch to win the 141st Kentucky Derby. American Pharoah made it to the finish line to win in 2 minutes, 3.02 seconds. American Pharoah’s jockey, Victor Espinoza, became the sixth jockey to win back-to-back Kentucky Derbys after having ridden the 2014 Kentucky Derby favorite, California Chrome, for the win last year. American Pharoah paid $7.80, $5.80 and $4.20. Firing Line returned $8.40 and $5.20 and Dortmund paid $4.20 for placing. The order of finish behind American Pharoah, Firing Line and Dortmund was Frosted in 4th, Danzig Moon 5th, Materiality 6th, Keen Ice 7th, Mubtaahij 8th, Itsaknockout 9th, Carpe Diem 10th, Frammento 11th, Bolo 12th, Mr. Z 13th, Ocho Ocho Ocho 14th, Far Right 15th, War Story 16th, Tencendur 17th and Upstart 18th. Kentucky Derby - As race draws near there’s all the news that’s fit to sprint – with feature articles, daily blog, pictures and video clips, odds and latest lineup, breaking announcements. NBC Sports – Horse Racing - The official U.S. television station with plenty of coverage in feature stories, analysis, predictions, interviews, photo slide shows & video. Louisville Kentucky’s The Courier-Journal - Local newspaper online coverage of the Kentucky Derby with added color pieces on the hats, festival events, in depth info on the track, probable contenders and their pedigrees. Kentucky Derby Festival Official Site - A comprehensive schedule of events searchable by name, date or location, here at the official online fest celebrating Louisville’s excuse for doing nothing but just horsing around all week. Kentucky Derby Day Recipes - If you can’t make it to the race, sit back and party with do-it-yourself mint juleps, bourbon balls, Kentucky hot browns and a chocolately horse race pie with some fresh whipped cream. Tool around the rest of this Derby fan site for more history and color commentary on the big day. Kentucky Derby Day Pie - The chocolately-pecan recipe is presented here in several different variations, with ingredient lists and complete instructions. The Preakness Stakes is an American flat Thoroughbred horse race held on the third Saturday in May each year at Pimlico Race Course in Baltimore, Maryland. It is a Grade I race run over a distance of 9.5 furlongs on dirt. Colts and geldings carry 126 pounds (57 kg); fillies 121 lb (55 kg). It is the second leg of the US Triple Crown, with the Kentucky Derby preceding it and the Belmont Stakes following it. The horse must win all three races to win the Triple Crown. What may be the most disturbing Preakness infield tradition of all: the annual port-o-potty run, in which drunk people run across the tops of port-o-potties while being pelted by beer cans. This year marks the 141st running of the $1 million Preakness Stakes, the middle jewel of the Triple Crown. By tradition, three year olds run the one and 3/16th mile track at Pimlico in Baltimore, Maryland with more than a dozen horses traditionally lined up for the Preakness Stakes. For major contenders in Baltimore, horse racing fans looked to the previous Kentucky Derby lineup which often result in a handful of Preakness favorites. Of course, that doesn’t discount the odds of some unknown dark horse sneaking up from behind for the win… and a major upset! Meanwhile, for word on this year’s lineup of 2015 Preakness odds and post positions use the links below for when the official list is announced from Baltimore. Finally, on race day, it will be “riders up!” when all the televised action takes place at Pimlico on NBC at 4:30 PM ET on Saturday, May 21st, with post time approx, 6:20 PM ET. The Preakness is named after the horse who won the first stakes ever run in Pimlico when its doors first opened on May 27, 1873. The Preakness Stakes is sometimes dubbed “The Run for the Black-Eyed Susans” because a blanket of Viking daisies, decorated to look like Black-eyed Susans, is traditionally placed around the winner’s neck. Actual Black-eyed Susans — the state flower of Maryland — are not in season during the Preakness. The official drink of the Preakness Stakes is the Black Eyed Susan cocktail made with orange juice and vodka. The Friday before the Preakness is Black-Eyed Susan Day at Pimlico where a party atmosphere and entertainment prevails along with the running of the Black-Eyed Susan Stakes for 3-year-old fillies, with appearances by notable female jockeys. While celebrations in Baltimore may take days, the actual Preakness Stakes race lasts an average 2 1/2 minutes. Preakness Celebration - Horse around in Baltimore, with info on the traditional Hot Air Balloon Festival, Preakness Parade, the 5K Run, concert series, the Pee Wee Preakness and lots more including video clips, photos and complete event calendar leading up to the race. The Woodlawn Vase and the Preakness Stakes - The famous winner’s trophy designed by Tiffany & Co. with a long and fascinating history, clickable photo. A major highlight of the PGA Tour, the Players Championship is the richest tournament of the year with the strongest and deepest field -— featuring 50 of the the world’s top golfers competing for the $1 million-plus prize at Sawgrass in Ponte Vedra Beach, Florida. Golf fans know the course best for its infamous 137-yard 17th hole – better known as the “Island Green” – which historically raises the blood pressure of even the coolest players. Tickets for the Players Championship traditionally go on sale in November, including travel packages featuring tours of downtown Jacksonville, historic St. Augustine, and the nearby World Golf Hall of Fame. TV coverage airs on NBC and The Golf Channel – beginning Tuesday, May 10 and concluding with a dramatic final on Sunday, May 15, 2016. Fred Couples, Greg Norman, and Tiger Woods are among the more notable golfing greats who have won at the TPC Sawgrass over the years. But it’s not always the golfing greats that get the glory. In 2014, it was unlikely underdog Martin Kaymer from Germany who in addition to the winner’s title celebrated the end of a 0-for-29 slump! Last year, it was underdog Ricky Fowler who answered his critics — who rated Fowler as “one of the most overrated players in the PGA” — in a big win at the Players. PGATOUR.COM – THE PLAYERS Championship - Feature stories, leaderboard and who else is in the field this year, related photos, the latest weather, audio news reports. 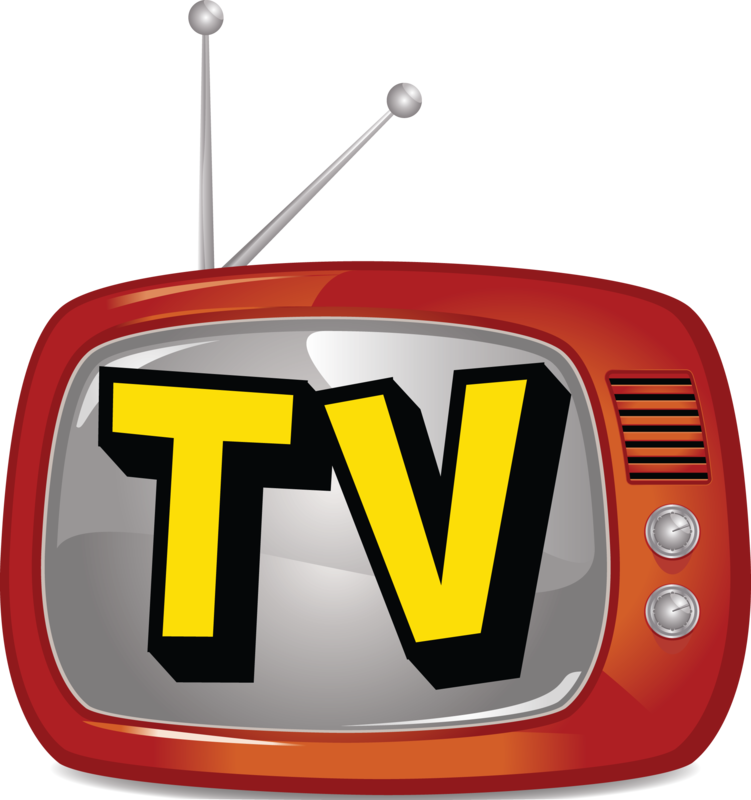 The Golf Channel - The online home of Players coverage with the complete TV schedule, latest news, feature stories, picture galleries and video clips, leaderboard. Tournament Players Club – Sawgrass - The scene of all the action in Ponte Vedra Beach, Florida, and featuring video clips of its design and construction, a virtual tour, info on golf lesson fees, news and special events. In Mexico or wherever the culture is celebrated — families, friends and neighbors gather on the 5th of May to celebrate Cinco de Mayo! It’s popular to believe that Cinco de Mayo is an observance of Mexican independence, but the festival actually celebrates an obscure victory of 4,000 ill-equipped Mexicans over 8,000 armed French invaders in 1862. The battle known as La Batalla de Puebla, The Battle of Puebla, took place on (you guessed it) May 5. Today, all is forgiven, with fiestas planned in Mexico and in many communities around the world where Mexicans live. Cinco de Mayo Recipes, Margaritas, Fiesta Tips - Top of the line celebration party ideas from the Food Network with Cinco de Mayo facts, star chef recipes from Rachel Ray & Bobby Flay, plus hot, hot, hot festive meals & how to’s along with cool Mexican cocktail recipes. Celebrate Cinco de Mayo! - Browse for how to make your own Cinco de Mayo decorations — plus menu ideas, food & drink recipes, and party activities to make sure your celebration is a real fiesta. It’s the unofficial start of summer and a perfect opportunity to have friends, family and neighbors over to celebrate your backyard. If you are like us, it won’t be the first time you fired up the grill this season and you are always looking for new recipes and cooking techniques. Here are links to well over 600 recipes for you to choose from followed by a great “smokeout” menu and links to our favorite BBQ sites. Here is a perfect menu for you to prepare for them! It’s a tried and true menu that really shows off your smoker skills. May 4th is considered a holiday by Star Wars fans to celebrate Star Wars culture and honor the films. It is called Star Wars Day because of the popularity of a common pun spoken on this day. 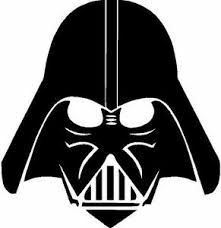 Since the phrase “May the Force be with you” is a famous quote often spoken in the Star Wars films, fans commonly say “May the fourth be with you” on this day. Current day Star Wars fans were not the first to introduce the line “May the fourth be with you”. In a 2005 interview on German news TV channel N24, Star Wars creator George Lucas was asked to say the famous sentence “May the Force be with you.” The interpreter simultaneously interpreted the sentence into German as Am 4. Mai sind wir bei Ihnen (“We shall be with you on May 4″). The fun jumps to light speed – with great ideas for a Star Wars party! Star Wars party food – Get creative by whipping up some Skywalker salsa and chips, galactic party punch, Yoda soda (be sure it’s green! ), oatmeal Wookiee cookies, and top it off with homemade sheet cake decorated with Star Wars Lego or action figures. Star Wars party games & activities – For the younger set, get the crayons out and provide Star Wars printables and coloring pages to keep little hands busy. Older kids might appreciate a good round of Star Wars trivia with prizes given to the most knowledgeable Star Wars fan, or form party-goers into groups to reenact their favorite Star Wars movie scene. Party favors & goodie bags: – Fill ‘em up with Star Wars novelty candy, cards and stickers, or small toys & keepsakes available online or in most toy or party goods stores.